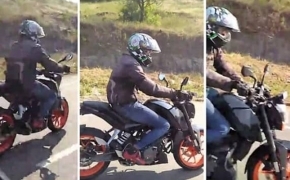 KTM has confirmed via their social media handle, how the KTM Duke 125 will officially look. The baby KTM will adorn the styling of Duke 200 and will come with an ABS as well. The ABS is likely to be a single channel unit acting at the front. 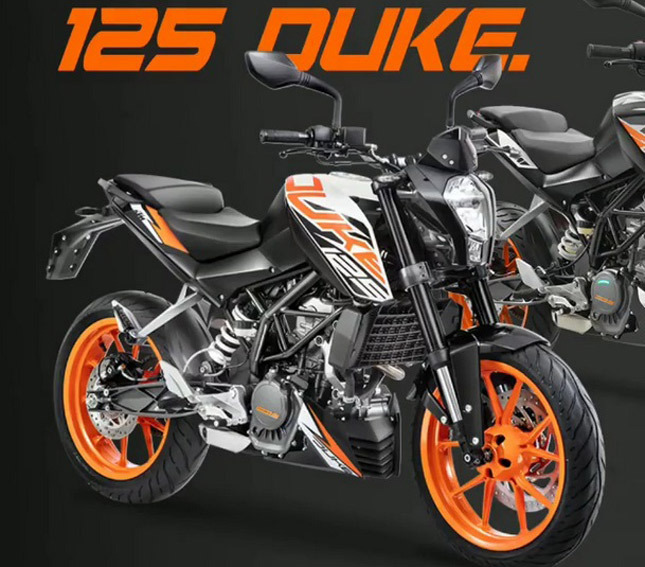 There is no change between the styling of KTM Duke 200 and Duke 125. Both feature a trellis frame, WP suspension, and typical ‘old-duke' design. In terms of performance, the KTM Duke 125 is powered by a 125cc single cylinder engine that produces 15 PS of power and 12 NM of torque. The bike is mated to a 6-speed transmission. Compared to the other 125cc bikes in India, the Duke 125 is a beast, in terms of performance and style. However, several 150-160cc motorcycles can give the KTM Duke 125, a run for its money. For example, the TVS Apache RTR 160 4v is more powerful than the Duke 125 and probably even has a higher speed due to the absence top speed limiter. The pricing of the Duke is yet to be revealed, however, since the equipment on the bike is still carried over from the old design, the customers can expect an ex-showroom price of around Rs. 1.2 to 1.3 lakh.